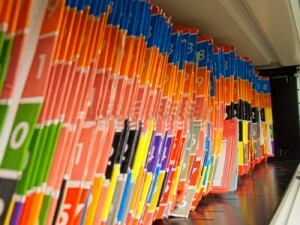 Traditionally, electronic medical record (EMR) systems have been associated with documentation and record keeping. In the new economy, an EMR has evolved into a tool to help you run every aspect of your practice – scheduling, documentation, coding, billing, payment collection and marketing. With improved technology, this is the new norm, which is good news for a private practice owner. Nitin Chhoda explains how the right EMR system can make your life easier and help you run a simpler, more profitable practice. Calculating your billable rate for weighted procedures and setting benchmarks for weighted procedures per visit can certainly do a lot to help your bottom line. Physical therapy documentation benchmarking can improve productivity and identify areas where a practice is in need of streamlining and improvement. The difficulty in the past has been collecting data and analyzing the numbers. Today, with modern physical therapy documentation tools and improved technology, reviewing productivity measures is fast and simple. The basic numbers your practice will need to collect start very simply. How many visits does each patient schedule? How many appointments are scheduled in an eight-hour day? How many weighted procedures are documented for each patient visit? These numbers can be rolled out quickly and easily, because a simple tally will work. With a physical therapy documentation EMR, you can get these kinds of data with a few clicks of the mouse. Flexible physical therapy documentation tools allow you to choose time frames and display averages, per visit, per day, per week, or per month. These numbers will tell you where the practice stands right now. The next step will be to decide where you want the practice to go. 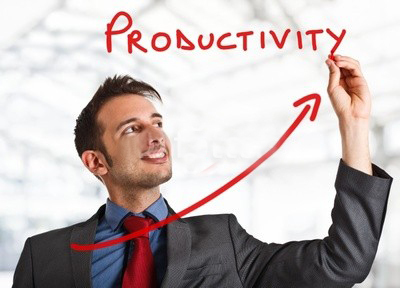 You may find that there are some places where you can improve efficiency right away. If you know how many weighted procedures are recorded for each visit, and you want to increase that number, your physical therapy documentation staff can be educated about how to better incorporate weighted procedures into each visit. Once you go a little deeper, you will start to see that a bit of interpretation and analysis is necessary. Fortunately, with an EMR your data is easy to collect and organize. The weighted physical therapy documentation procedures per visit can be transformed into weighted procedures per provider hour worked. You can then figure out just how much you would like to be billing per hour, and compare that to the actual billing rates. This is the basis of benchmarking. If you can determine what a reasonable rate of physical therapy documentation billable services is, you will be able to look for ways to increase the billable amount per hour. Additionally, you can start to look at the compensation cost per visit in a rational and recorded manner. Physical therapy documentation software will allow for simple analysis of straight forward reports. Compensation cost per visit is one of the biggest and most inflexible expenses associated with running a private practice. This includes your rent and utilities as well as costs of staffing. Your benchmark can be set based on anticipated improvements in physical therapy documentation productivity as well as averages from elsewhere in the physical therapy field. Benchmarking is one way to make your goals more concrete. Rather than saying that you want to improve physical therapy documentation productivity, you can set a benchmark for weighted procedures per visit. This will help the practice to perform at its best, while giving everyone specific tasks to help make that happen.